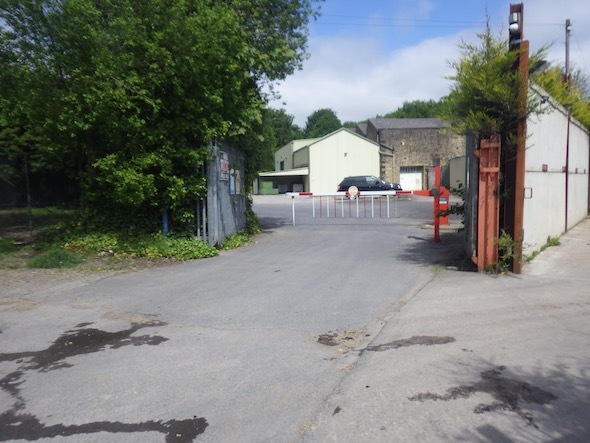 In order to support the planning application for the erection of four industrial units a desk study report was required to support the application to ensure that the site could be made ‘suitable for use’ once the development was competed. The first stage of preparing the desk study report was to research the history of the site using a combination of historical Ordnance Survey maps, aerial plates and street level imagery. Whilst the site was developed prior to the first large scale O.S. map it was unclear if the site formed part of the adjacent cotton mill. It was also unclear if the south western area of the site comprised of a canal, which was in-filled in the 1960’s. 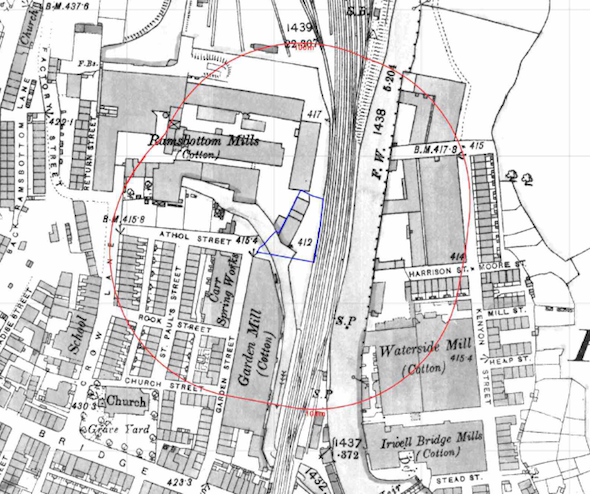 The site was adjoining by mills, railway sidings and possibly a gasometer. A number of potentially contaminative land uses were also identified in close proximity to the site including a spring works and a reservoir. Geological maps indicated the drift deposits were alluvium, which was underlain by the Marsden Formation (mudstone and siltstone). 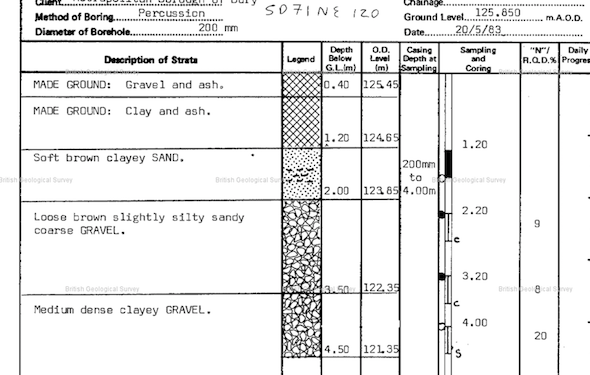 A borehole section sheet for a borehole 5m south of the site was available from the BGS, which indicated that deposits of made ground was present to 2.0mbgl, which was underlain by gravel. Both the alluvium and mudstone were regarded as moderate sensitivity receptors. 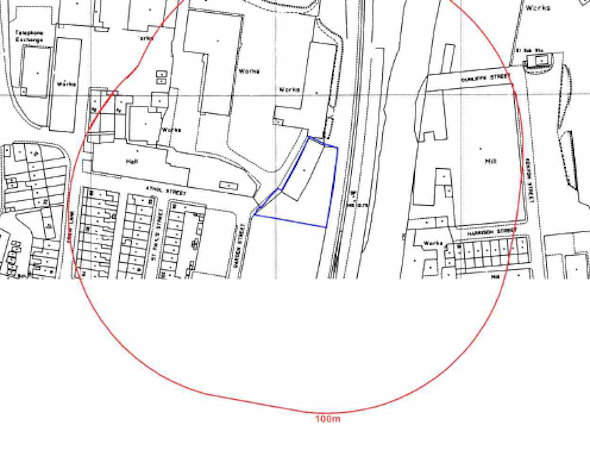 Additional data provided by both Groundsure and the Environment Agency identified works in close proximity of the site as well as a refuse tip within 250m of the site. 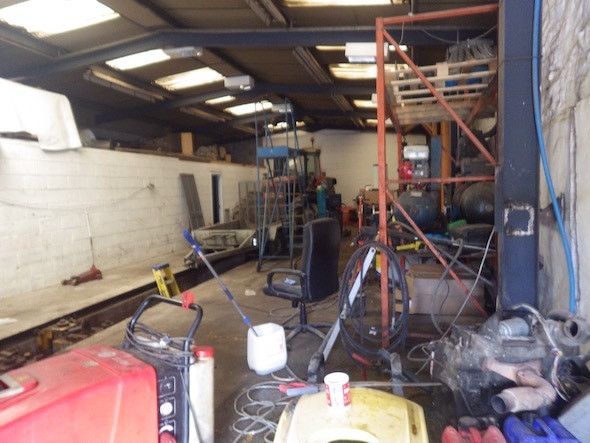 On completion of the desk based assessment a site reconnaissance visit was undertaken, which revealed the site was occupied by a singe building, which was being use for vehicle serving as well as offices at the time of the survey. The reminder of the site comprised of a yard. The qualitative risk assessment identified a number of potential sources of contamination, and the water receptors were also identified as having the potential to be impacted by the site. Based on this a site investigation was proposed. 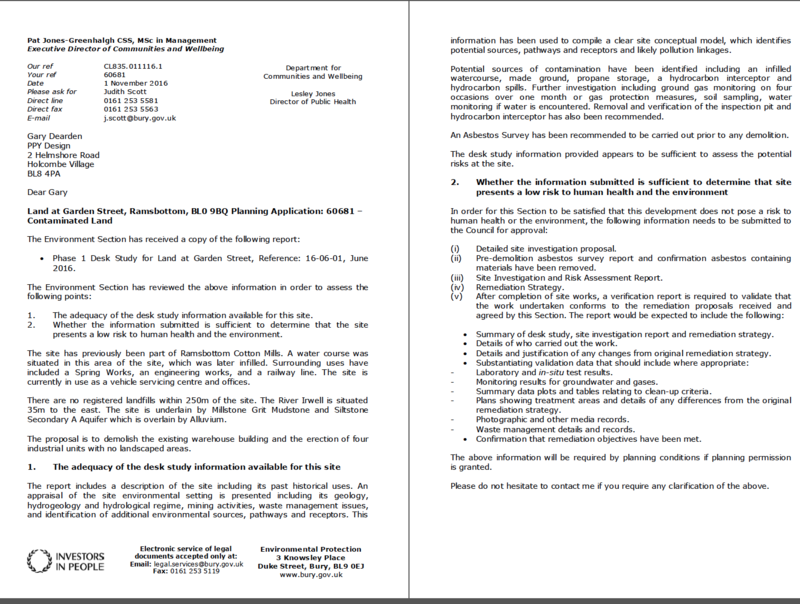 Whilst the recommendations of the desk study report were accepted by the local authority (can be accessed here) the Environment Agency provided feedback regarding the assessment of groundwater receptors, the report was revised to take the comments into account and resubmitted.